Somehow this year people have started to make fun of people for loving fall. We introduced the concept of the term “basic” – a title given to white girls in yoga pants, sipping on PSLs (am I basic for abbreviating pumpkin spice latte? ), doing fall things with their friends. It kinda makes us, the true and faithful fans of fall, look like we just jumped on the bandwagon. Call it what you want, I love fall. What’s not to love? We’re so over summer and we’re only getting glimpses of winter. People everywhere are getting out their boots, jackets, and scarves. They’re venturing outside to enjoy a brisk hike, beautiful fall leaves, and my personal favorite, apple picking. Every year since we started dating, my husband and I have gone to the same orchard to pick our apples. This year was our 7th trip (what?!?!?) and we loved it just as much as the first time. We always head north to just outside of Charlottesville to Carter Mountain Orchard. Set on top of a mountain, you get a beautiful view, clean fresh air, and, well, a workout. The staff is always so friendly and each year they provide a map of which apples are ready to pick. Last weekend, Pink Ladies, Fujis, Granny Smiths, Staymans, Winesaps, and Jonagolds were all ripe for the picking. We’ve learned over the years that we don’t really care for the Staymans, Winesaps, or Jonagolds, so we just stuck to the other three. Now, if you’re like me, you get ambitious. You pick some apples, you think, “that’s not that many”, and surely you’ll fly through them just eating them as a snack. Then you get home and realize how many you really picked. 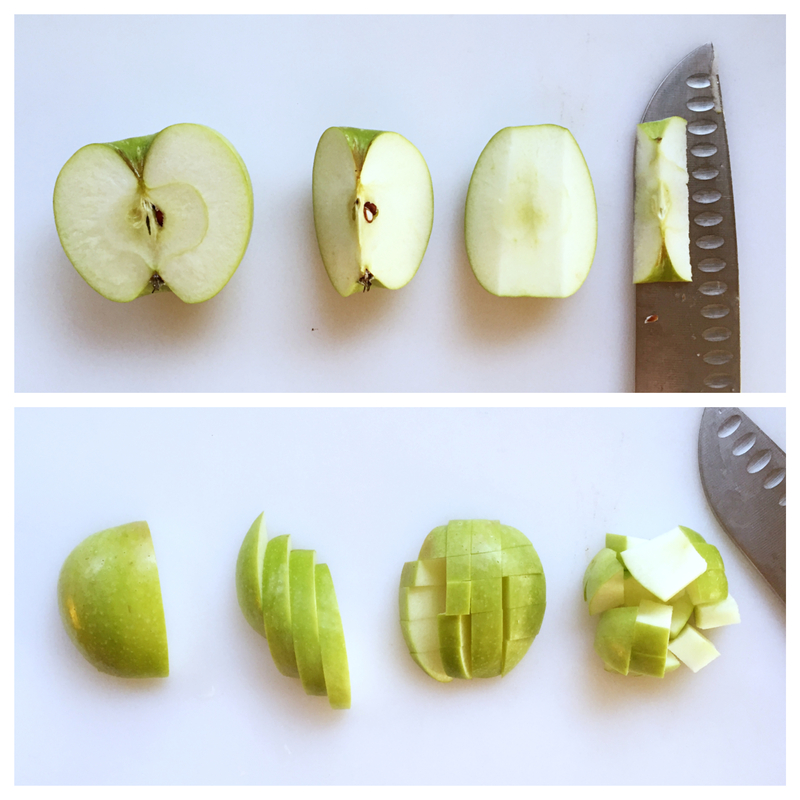 While we love eating ours as-is, we’ve also loved dehydrating apple slices into apple chips this year as well. 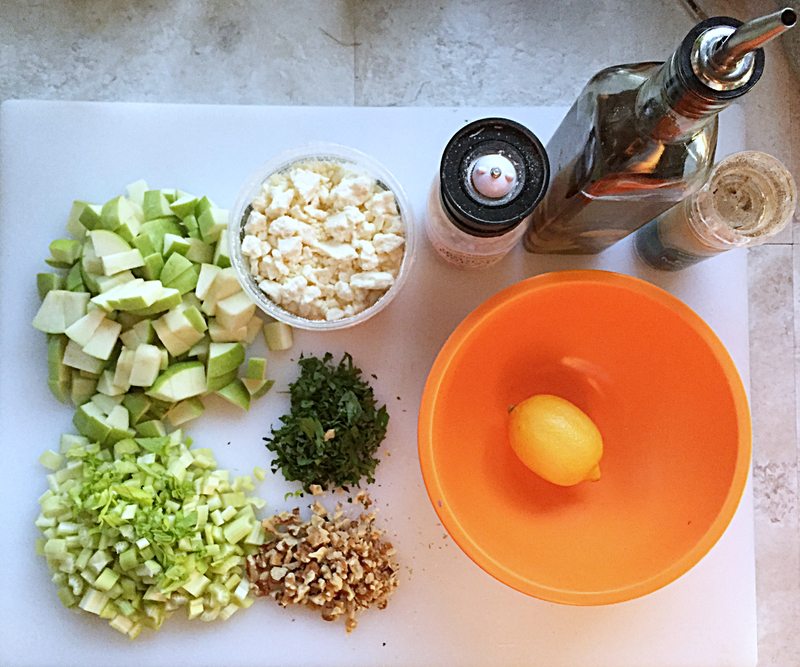 I decided also to take some of the Granny Smiths and make a simple chopped salad. I love chopped salads. Everything’s already in bite-sized pieces, you get incorporation of all of the flavors in each forkful, and you end up using way less dressing. This salad is inspired by one of my favorite former restaurants in our town. At Bull Branch, the eclectic menu constantly changed with the seasons, but, this salad always seemed to be a staple. One note – I don’t really love parsley. I put it in the recipe and it’s in the version I photographed, but, I prefer it without. 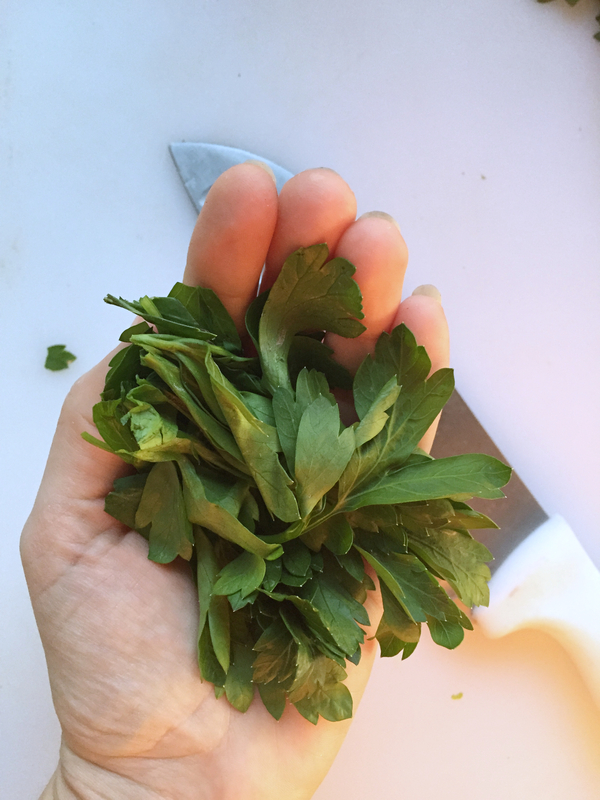 Bull Branch always used parsley, so, to be true to the copycat, I added it, but, only add it if it’s your thing. I think it’s great without. This salad would comfortably feed 2 as a large side dish to a protein at dinner or as a lunch in and of itself. If serving it as an appetizer or with a larger meal, this can certainly be 4-6 smaller portions. The ratio is pretty simple, and the portions can be easily modified to meet your tastes. This salad is great freshly made, or prepared ahead of time. 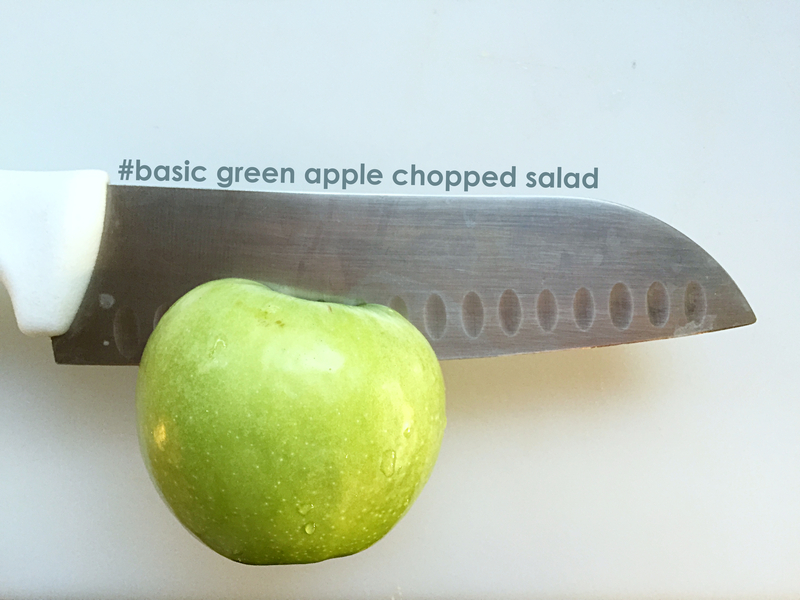 Granny Smiths tend to brown slower than most apples and the lemon juice in the dressing will help preserve the color. 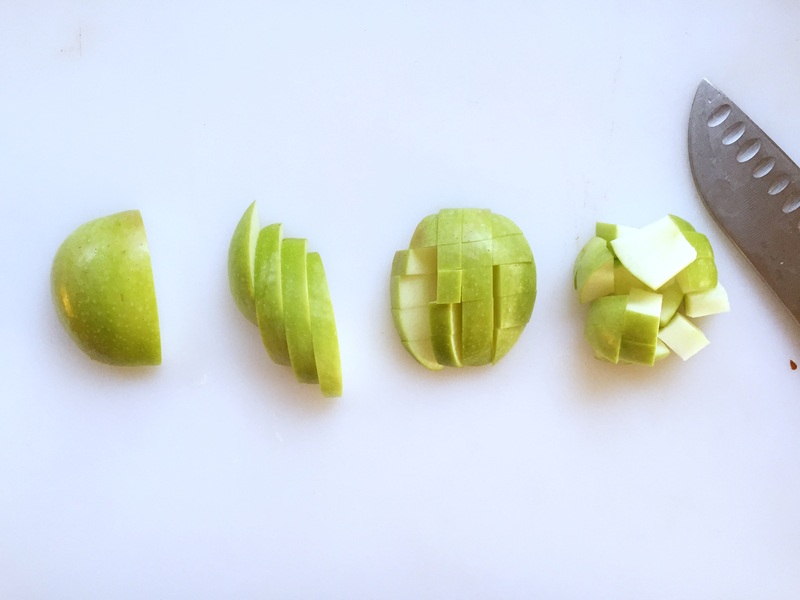 If you’re looking for a way to use up some Granny Smiths – try this one out! It’s low in calories, offers omega-3s from the walnuts, Vitamin K from the celery, and the healthy sugars in the apples keep this very low on the glycemic index. As a bonus, it also contains 4 grams of complete protein (in a quarter-recipe serving). Check out all the nutrition facts for this recipe here. 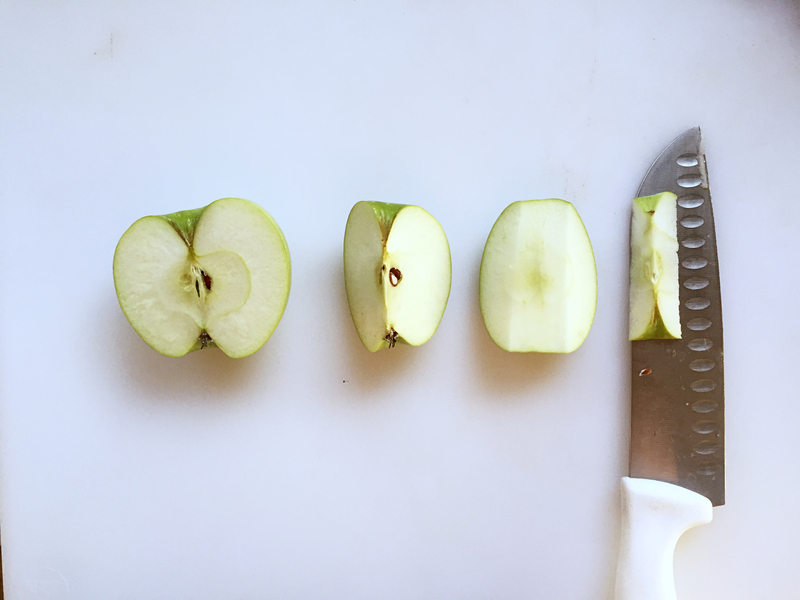 If your apples aren’t organic, or if they have a waxy coating, follow the link above to learn how to remove the wax from your apples. Once clean, quarter, core, and dice into bite-sized pieces (see below). 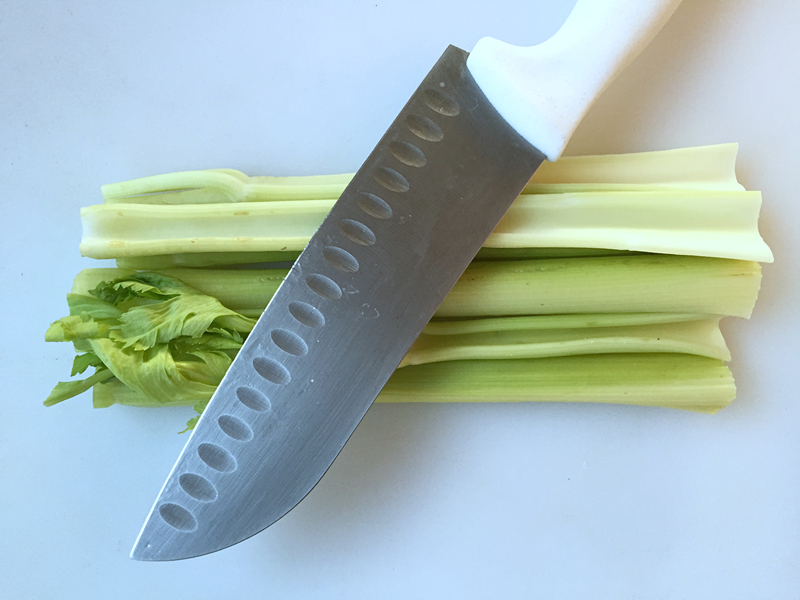 Chop the celery into similar-sized pieces, slicing ribs length-wise where needed. Don’t be afraid of leaves on celery, they have great flavor! 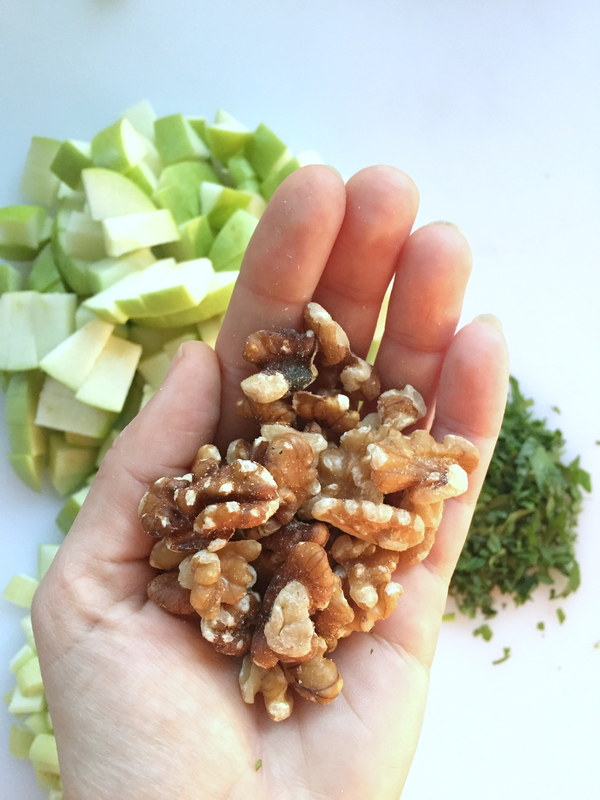 Chop walnuts if whole and as well if you buy a block of feta as opposed to crumbles, break into small pieces. In a bowl big enough to hold all ingredients, squeeze the juice of one lemon. Whisk in the olive oil, salt, and pepper. Add all of the ingredients and toss with the dressing. Taste and adjust salt and pepper to taste. Add extra of any of the ingredients to suit your taste. Eat immediately or cover and refrigerate to eat later. 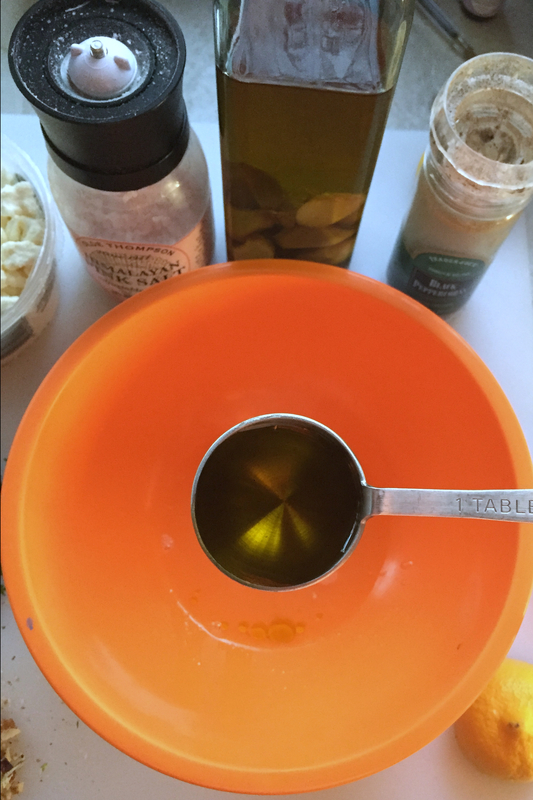 If salad dries out in fridge, add a bit more lemon juice and/or oil to loosen up salad. 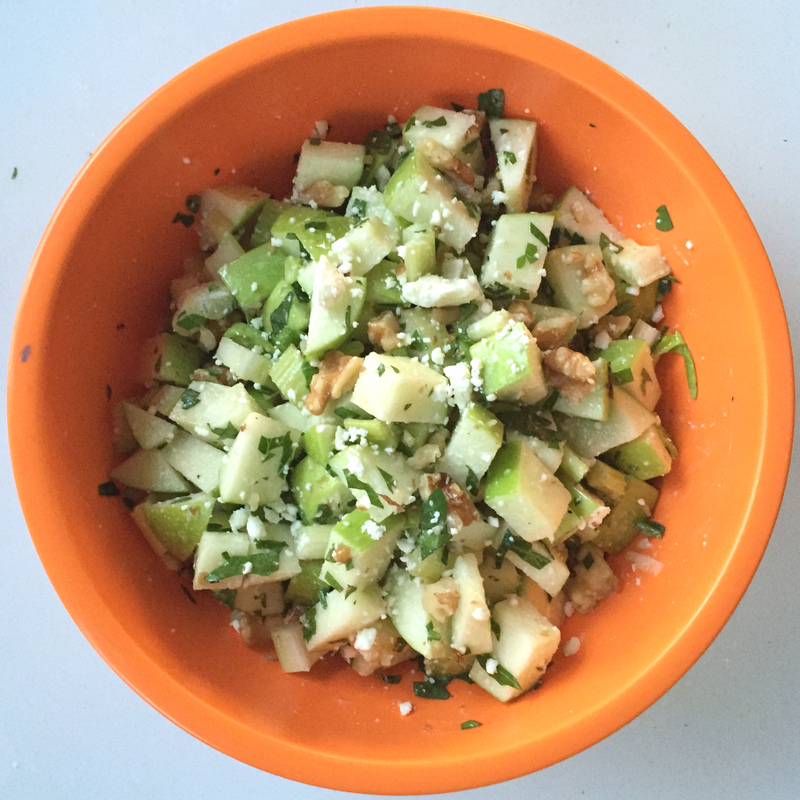 This entry was posted in appetizers, fruits, salads, vegetables, vegetarian and tagged appetizer, apples, basic, celery, chopped salad, fall, salad, walnuts by Megan @ amacaday.com. Bookmark the permalink. Great idea for a salad!